Discover the most capable IT innovation solutions available. 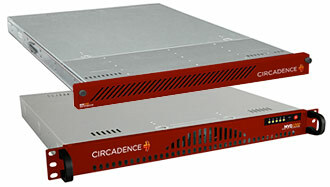 Circadence® supplies the power of tomorrow's technologies, available today. Through our long-standing relationships with prominent government and military technologists, Circadence is truly leading the way in IT innovations – and breaking new barriers of simplicity and cost-effectiveness. Our full line of products and technologies delivers maximum performance and tremendous ease-of-implementation, enabling a greater level of agility with faster, smarter, and more secure innovation solutions. Today, we are helping reinvent the possibilities of WAN optimization, security, and business continuity. Thousands of Circadence customers in global businesses, government agencies, and small to medium-sized companies rely on our optimization technology to get their data quickly and securely from point to point, every day. In fact, independent tests prove that our proprietary optimization protocol is nearly 100-times faster than standard TCP in the heaviest of traffic. Accelerate any TCP traffic anytime anywhere – including tablets. Unlock the power of your infrastructure with proven, patented performance. Circadence has 18 patents issued in WAN optimization for optimization and acceleration and business critical applications. An additional eight patents are pending, with numerous other patent applications currently being drafted to cover product enhancements. Tunnel through WAN congestion – nearly 100-times faster than standard TCP in the heaviest traffic. Maintain application connectivity with Link Resilience™, eliminating downtime. Enable security to be maintained from end to end – independent of the application being delivered. Natively support encrypted SSL content without needing to install client certificates. CircadenceWorks.com is a division of Virtual Graffiti Inc, an authorized Circadence reseller.